Good morning, Kirsten here. It's the start of a new week & the start of a new promotion fortnight on the Lisa B Designs Inspiration blog. This time we are focusing on the Hobby Art stamps that are available on the website - with 30% off - and we have plenty of samples to show you in the coming weeks. You must leave one comment on EVERY blog post - including this one - in the next two weeks from today, January 5, to the final post on January 18. You can make your comment at any time as long as it's before the midnight deadline on Sunday, January 18. The winner will be chosen by a random number generator & announced here on Monday, January 19. The new challenge is now live. The theme is 'Anything Goes' & all the details can be found HERE. And don't forget to check out the MEGA SALE page on the website. There are bargains galore, including 40% off Hobby Art Christmas stamps, with more being added all the time. 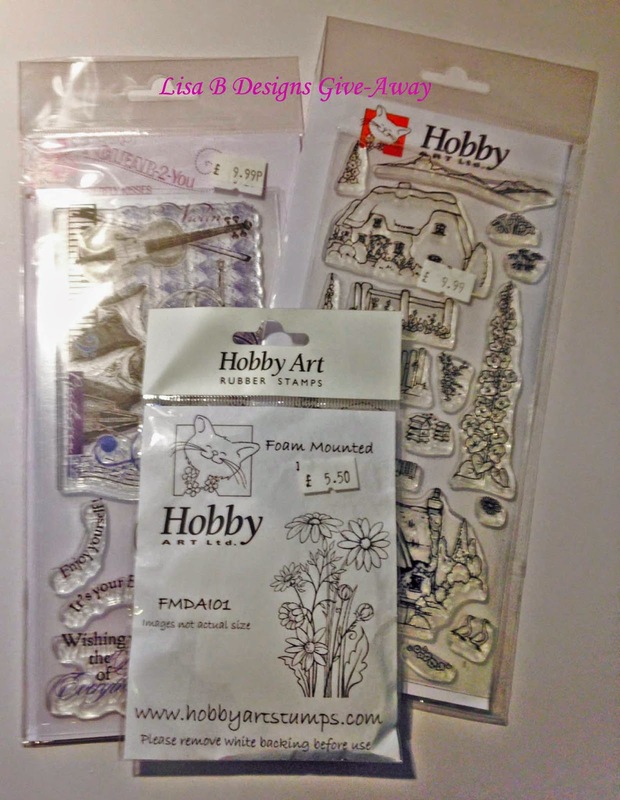 I just love the various ways of making an image using Hobby Art stamps. A super promotion fortnight. Looking forward to seeing lots of inspiration.